Meeting the TIA/EIA-568-C.2, ISO/IEC11801 and EN50173-1 specifications. Complying with category 5e patch cord testing performance requirements. 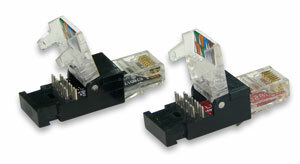 Connector accepts 22-26 AWG solid and stranded shielded cables. Supporting T568 A&B wiring & easy installation. Toolless modular plug are special designed for industrial applications, and also be an ideal solution of creating customized lengths of modulas network cables. 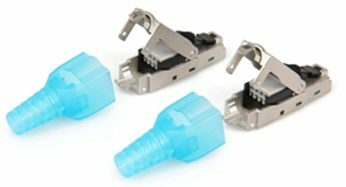 The modulas plugs are manufactured from high-impact clear polycarbonate to withstand everyday wear and tear. You can exept error-free data transfers.